The Territoire de Belfort covers only 610km2. In reality it is made up of just one city, Belfort, with its surrounding villages, countryside and industrial zones. The department has always been fiercely independent and is renowned for its military audacity. Its greatest triumph came during the Prussian war when it resisted the German invasion that had annexed both Lorraine and Alsace to the north. On a rock face overlooking the town, a gigantic monument with a red sandstone Lion as its centrepiece is a triumphant reminder of the town's fortitude. It was designed by Frederic-Auguste Bartholdi, who also takes credit for the Statue of Liberty in New York. You can climb all the way up the monument for a closer look and fabulous views across Belfort. The River Savoureuse runs through Belfort, neatly dividing it into two. On the eastern bank lies the old town with its glorious chateau, while on the western side lies the sprawling commercial new town. Every July the massive Eurockeennes festival is held in Belfort which sees the likes of David Bowie and the Red Hot Chili Peppers and their fans descending upon the town. The impressive Musée d'Art et d'Histoire, found within the citadel, has a vast collection of works from local artists as well as an extensive display of artefacts from the Bronze and Iron ages. After a stroll around the museum, you may like to stretch your legs a bit more with a walk around the town's walls. These former defences provide great views across the area. Basel/Mulhouse is the closest airport to the Territoire de Belfort, only 40 minutes away. However, there are currently no direct services to/from the UK. This may change though, so it would be best to check the airport's schedules when you wish to fly. Strasbourg and Geneva are also within reach, both having regular flights to/from the UK. 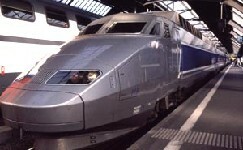 The nearest stations are Strasbourg and Besancon, both of which are served by the fast TGV trains. Do you know Territoire de Belfort better than we do? Do you have photos of Territoire de Belfort? WHERE IS Territoire de Belfort? The Territoire de Belfort is located in the north-east of the Franche-Comte region.